Built in 1931 in Brooklyn, New York by the Bird Aircraft Corporation (formerly Brunner- Winkle). 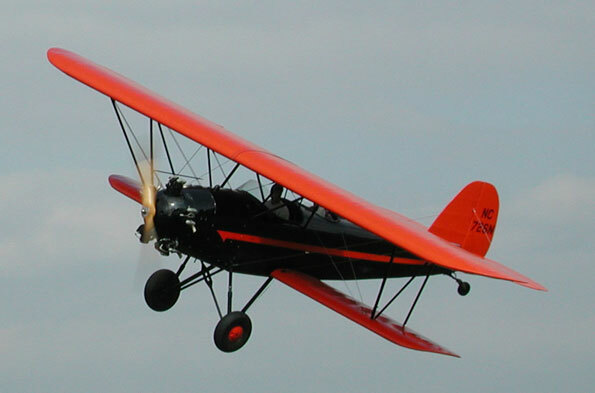 The CK series was the third generation Bird biplane. Previous models were powered with the 90 horsepower Curtiss OX-5 and the 100 horsepower Kinner K5 radial engine. This airplane was designed and built for the barnstorming or ride business. It has room for three passengers and the pilot. A small fold out jumpseat in the front cockpit provided room for the third passenger. The Bird was very unique in the fact that the upper wing was twice the area of the lower wing. It also was unique in comparison to its competitors that it carried the same or even a greater load on half of the available horsepower. This airplane has been part of the Golden Age Air Museum collection since 2001 and was used for sightseeing rides up until 2008. It is maintained in airworthy condition.